My best wishes for Happy Birthdays!!! Happy birthday, Miss Cat! Thank you for maintaining LuckyMojo! Happy belated birthday to you! 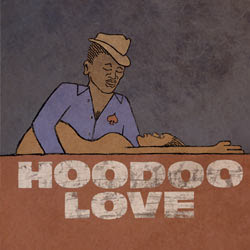 Thank you for all that you have done and continue to do for the hoodoo community! You folks are so sweet! I had a wonderful birthday, and i wish the same to all of you. Were a customer to send flowers to the shop as a thank you greeting, are there any conflicts (allergies, etc.)? My goodness, no! We LOVE flowers!!! We work with scents and herbs all day long, so we are not allergic types. Many of us love chocolate, but several of us are on diets, so flowers always hit the spot for everyone and leave no one feeling left out. We are really happy when flowers get delivered here. You should especially see us ooh and aaah over bunches of roses -- and then come back and check us out again as the roses fade and watch as Robin carefully dries the falling petals for use in our oils and foil packs! We also rave big-time over those cute food baskets that contain a mix of non-sugary things like cheeses and crackers and nuts along with chocolates and the like. It is sweet of you to ask. Sending those crafty little fruit baskets seems like a good idea too. They're edible and pretty. Hello Forum Friends you all have a safe happy Thanksgiving Day !!!!!! We did! I just got back from a big dinner fest with my daughter, grandsons and my son-in-law's extended family, plus their neighbors, plus my daughter's step-sister and her husband and child. There were about 30 of us. Best wishes to everyone -- and the shop will be open tomorrow as usual! What a great thread Bruja! Wishing all of the Staff at Lucky Mojo Curio Co, Miss Cat, Nagasiva, each and every member of The Forum, and the wonderful Members of AIRR, a most wonderful Holiday and a New Year filled with Peace, Love, Hope, Joy, Health, Happiness and Prosperity! I turned a corner this year, some years are great some are not so great; it is all relative to what is important to us. For me, my studies and learning and reaching almost impossible goals and the realization that things really can happen-- if you believe in yourself and what you are trying to accomplish. We have the tools right here y'all, from this wonderful place we all love to Shop from, Lucky Mojo, and from the advice we seek through our Members of AIRR, and from ALL the wonderful people who come here and share in "The Experience" .This is definately a time of the year for thanks and reflection. Again to all of you, have a wonderful Holiday Season and a New Year filled with Blessings and Prosperity! Happy Birthday Miss Cat! You have helped so many people with your incredible research, hard work; your brilliant original writings and your compassionate deep beautiful soul. Thank-you and have a beautiful, magical, fab day! Blessings and many happy returns Miss Cat Thank you for your writings and research - they are a constant source of information and inspiration. Thank you for being my teacher, my friend and my mentor. I wish you a year filled with bliss, fun, love and laughter! Thank you, Najah! So far, this is turning out to be a great year -- i awoke to a vase of garden-grown roses and a bowl of fresh strawberries served on Fiesta ware in bed, courtesy of my darling nagasiva! Happy Birthday Miss Cat. I hope your day was blessed and fun! Happy Birthday Cat!! Many blessings to you for all you do. Here's to many continued blessings!! Thanks, all -- it has indeed been a great day, and i had lots of fun, went out to a great dinner, and came home to work on web sites for my church! Happy Birthday Ms Cat. Glad to hear you had a wonderful day i would have wished you well sooner but it seems you have the same birthday as my father now ill always remember on time. Be blessed and enjoy another wonderful year. Ditto! You are truly a wonderful lady. Birthday blessings to a woman who, thanks to the Internet, touches more lives than even she knows! I hope someday I can wish you well in person, Miss Cat. Bright blessings to you Miss Cat! I hope your birthday was absolutely fabulous and blessed, Miss Cat! Happy belated Birthday Cat...although I did get to give you a big hug and wish you a happy Mother's Day/Birthday last weekend! Glad you had another wonderful birthday! God bless and good luck! I had to drop you a note on this day! It has been a wonderful one since the heavy dreams I had last night, and has continued throughout. Now I find out it is your Birthday as well. Wow. Happy Birthday to you and thank you for your HUGE part in all of this. You are much-ly appreciated every day! I hope you have a tremendous day...I am glad you were born! happy birthday to nagasiva, and thanks for all the great work you do! Happy belated birthday, and thanks for all you do! BELATED BIRTHDAY WISHES TO YOU!!!! Belated happy birthday with many more blessed ones to come! We just had the "observed" birthday party in the shop -- small pies (apple, cherry, apricot, and lemon meringue) and well wishes from all. Just wanted to wish the Lucky Mojo family a Merry Christmas! May you have a safe and happy holiday! Love, light and blesssings to all!!! I hope everyone is doing well today and having the best time that they can. Best wishes to all and continued success in the New Year! Thank you for making such a wonderful tradition accessible and available for such a great number of people. Thank you for being clear and precise with regards to the history, culture, context and practices of rootwork. Thank you for making hight quality information available to any who have the desire to learn. And thank you for being a peerless teacher, a wonderful human being and a great inspiration for so many of us. Many Happy Returns of the Day. May Blessings be showered upon you and your close ones. Wow Aura, I can't even top that! Happy Birthday Miss Cat :):)!!! Happy Mother's Day, too!!! I wish I was there to take you out for Dim Sum!!! Thank you, Aura and Tammie Lee. I am having glazed fruit tarts in bed for breakfast and enjoying my macbook air's new leather "book" look case. A combination of Mother's day and my birthday occurs about once every seven years, and i really get to live it up when that happens! LOL! I'll be back to business tomorrow, i promise! Happy Mother's Day and Birthday Miss Cat! Enjoy your day! Many blessings. Have a blessed day, Miss Cat! Happy Birthday (and mother's day) Ms Yronwode! Thank Goodness for a soul like you; You really are a blessing to us. Happy Birthday Miss Cat! Happy Mother's Day too! Hope you had a great day. Happy Birthday, Hope your day was wonderful. Nagasiva, the amount of work you put into all of this is staggering, welcome, and astounding. Thank you for all the in-real-life, as well as on-line, encounters we have shared. Be well, best of luck, and grow older! Have a fantastic birthday Nagasiva! Happy birthday, lovely Thing One. I am so happy to know and live with you! Happy birthday nagasiva! We are so blessed to have you in this world.